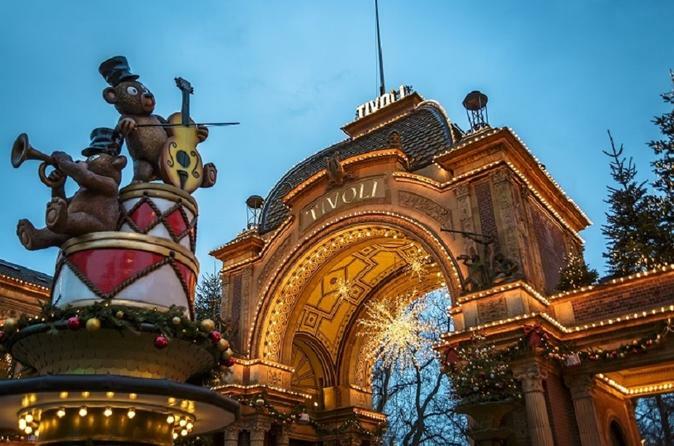 Guarantee your admission to Copenhagen's famous Tivoli Gardens with this prepaid admission ticket. Explore the world's second-oldest amusement park, founded in 1843, and home to amusement rides, restaurants and gardens. With mobile tickets, simply scan your phone for direct entry into Tivoli Gardens. With your prepaid admission voucher in hand, make your way to Copenhagen's famous Tivoli Gardens, located in the center of the city. Your admission is good all day; Tivoli is open from 11am to 11pm (12am in the summer). Explore the park at your own pace; you can sit in the sun with a coffee from one of the cafés or stroll among the impressive. Those more adventurous will love riding the roller coasters and playing the different games on offer. Learn about Danish history and the Danish citizen who founded the park in 1843, Georg Carstensen. Please note: on busy days there may be a line for the scanners, but this will be shorter than for the ticket offices.